There are many housing options available for patients traveling to the Paley Institute. For current hotel rate information, contact Jennifer Scott at jscott@paleyinstitute.org. 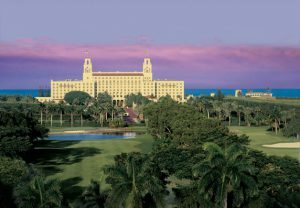 Please keep in mind that hotel rates increase during “season,” which runs from October through April in West Palm Beach. Click the link below to see a helpful listing of local accommodations. Be sure to ask for the "Paley Institute Rate." Please be aware that there is a cap on the number of rooms available during peak season. The following hotels offer discounted rates for patients receiving treatment at the Paley Institute, and many of them offer complimentary transportation to and from the Paley Institute through Priority Care. 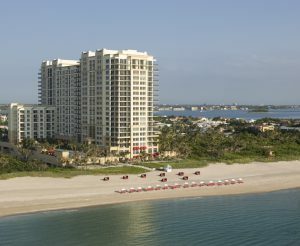 The Marriott Singer Island resort features beach-inspired amenities and oceanfront location just steps away from the area's best shopping, dining, and entertainment. Contemporary condominium-style suites allow for work and play in equal measure, with fully-equipped kitchens and deluxe bedding. A washer/dryer in each hotel suite provides convenience and flexibility, and flat-screen TVs and state-of-the-art Bose speakers allow you to create your own personal sanctuary. Soak up the sun at one of our two outdoor pools, or spend the day in tropical tranquility at our full-service spa. With the ocean virtually at our hotel doorstep, you're perfectly placed to enjoy all the adventures the Gold Coast has to offer. Paley Institute patients receive discounted rates, based on availability at time of booking. The Springhill Suites is conveniently located down the road from the Paley Institute, just off 45th Street near I-95. Springhill Suites is only 7 minutes from Palm Beach International Airport. Amenities include high-speed internet, outdoor pool, fitness center, and complimentary breakfast. 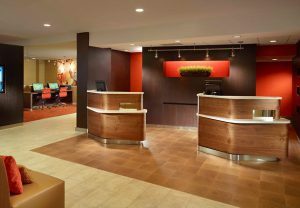 Complimentary transportation to and from the Paley Institute is offered at the Springhill Suites through Priority Care. The Residence Inn is conveniently located down the road from the Paley Institute, just off 45th Street near I-95. Residence Inn is only 7 minutes from Palm Beach International Airport. Residence Inn offers complimentary breakfast, internet, grocery delivery service, fitness center, and Jacuzzi hot tub. Spacious extended stay suites offer a full-size kitchen. Complimentary transportation to and from the Paley Institute is offered at the Residence Inn through Priority Care. Escape to a tropical oasis that provides all the modern amenities you need to stay comfortable in Juno Beach. 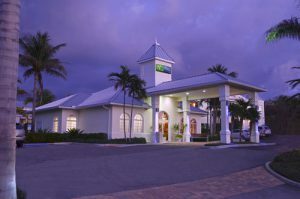 The hotel's location is a block from the ocean, within walking distance of several delicious restaurants and a short drive from downtown West Palm Beach attractions and businesses. The hotel's free, hot breakfast gets your day off to the right start, so you have time to enjoy other amenities like the Fitness Center, sparkling outdoor pool, and relaxing patio area. 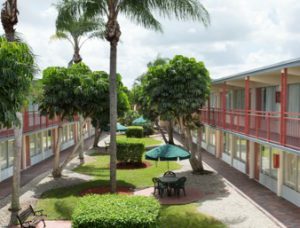 Conveniently located off Interstate 95, our Days Inn West Palm Beach hotel is a great value. Our West Palm Beach hotel near Rapids Waterpark places you within easy reach of the most popular attractions in the area. Free large-vehicle parking makes it easy to get on and off the road. Our hotel features free Wi-Fi Internet access in all rooms and handicapped-accessible rooms, microwaves and refrigerators are also available. After a busy day, relax in our sparkling outdoor pool or play a game on our shuffle board courts. Kids 17 and under stay free with an adult. 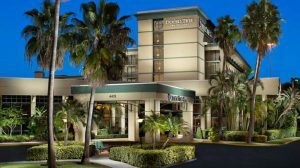 Welcome to Extended Stay America - West Palm Beach - Northpoint Corporate Park. Our hotel is designed especially for longer stays with studio suite rooms featuring a fully equipped kitchen. something you won't find in a typical hotel. Located off I-95, Courtyard West Palm Beach is minutes from Palm Beach International Airport (PBI), Palm Beach, Rapids Water Park, Riviera Beach, Singer Island, and the Ballpark of the Palm Beaches, opening in 2017. Our Wellington, Florida hotel is also near major businesses, including AT&T and Lockheed Martin. Enjoy on-site business services and free Wi-Fi and easily access information on our interactive GoBoard®, unique among hotels in West Palm Beach. Relax in modern accommodations, featuring ergonomic work space and signature Marriott bedding. Choose from a variety of breakfast and dinner selections at The Bistro – Eat. Drink. Connect.® and grab snacks and other essentials at The Market, open 24 hours. Host business events and other special occasions in over 1,500 sq. ft. of meeting space. 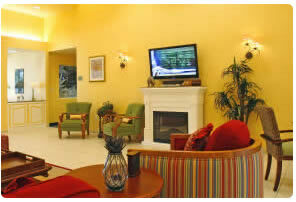 Whether in here for business or leisure, the Courtyard West Palm Beach will meet any travel need. Something happens when you stay at a DoubleTree by Hilton hotel. Maybe it’s all the little things we do to show we care. From thoughtful touches and friendly service to our warm chocolate chip cookie welcome, we’re here to make your stay as comfortable as possible, right from the start. The niceness you experience with us stays with you long after you check out, and we wouldn’t have it any other way. We’re proud to be a full-service hotel, where niceness matters above everything, and where we offer guests all the amenities they know and love, from fitness centers and pools to on-site dining. What could be nicer? The Quantum House, located on the campus of St. Mary’s Medical Center, is a “caring place to call home” for patients undergoing medical treatment in Palm Beach County. Featuring ten guest rooms, a large communal kitchen, living room, playroom, playground, back deck, and butterfly garden, the Quantum House provides temporary housing and support for patients and their families. Community groups visit the Quantum House providing meals, activities, and performances for its residents. All patients, regardless of where they are staying, are warmly invited and encouraged to visit the Quantum House to participate in activities, stay for meals, use the playground or playroom, and meet the other families. Complimentary transportation is offered at the Quantum House through Priority Care. For inquiries into availability, please contact Jennifer Scott (jscott@paleyinstitute.org).